One example is robot animals which can be used when older people feel like stroking an animal, or are in need of company. Robot animals and living therapy animals are two different things. The robot will stay put for an hour while being patted, while a living cat gets impatient and will leave when it has had enough. The relationship between older people and therapy animals grows, they remember the name of the dog when play is over. The robot dog will play for an hour, the older people will laugh and enjoy the game but will then close the robot down and forget its name. The exhibition Kaigo Robotto was Norrköping’s Museum of Work’s contribution to the conference on the Future of Work in Stockholm which ran from 15-16th of May. 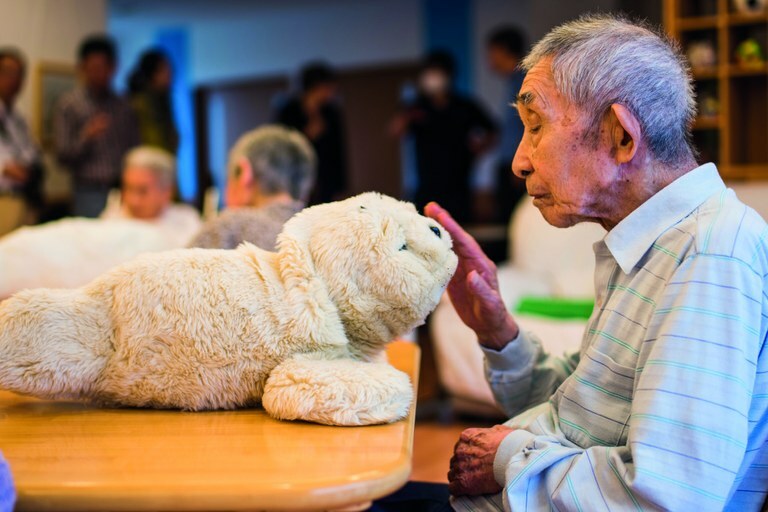 It showed how the Japanese government is already using robots in elderly care and how this might be applied in the future. The exhibition was based on a museum trip to Japan last year. The museum exhibited photographs taken by Said Karlsson during that trip, which also showed two robots – a seal with a dummy and a cat. Collection coordinator Andreas Nilsson was part of the group that travelled to Japan, visiting nursing homes and talking to researchers and trade unions. Japan has a rapidly ageing population. Society is taking more and more responsibility for their care. Nilsson experienced that Japan is addressing the growing problem using robots, and that a crying robot seal has already been in use for ten years. Nilsson says that the Museum of Work is preparing an exhibition about the future of work for next year. The museum has therefore just started documenting how robots are being used in elderly care, and what impact this has on jobs in the care sector. Andreas Nilsson believes it will be challenging, but that it will work well. He thinks robots can take care of surveillance and safety, for instance, and that they can ease work for staff and prevent back pain and other work injuries while giving the elderly a better life. “Japan needs more labour, and robots can be part of the solution. Robots will not replace people, but they strengthen and increase the status of the occupation,” believes Andreas Nilsson. 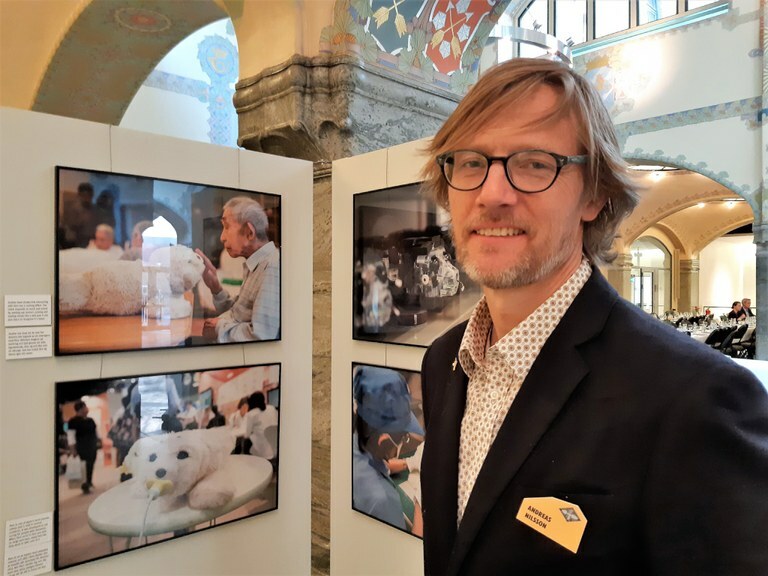 The Museum of Work in Norrköping held a photo exhibition where conference participants could meet Paro the robot seal. So far 5,000 Paros have been sold. They recognise both touch and heat, and can live for ten years.